Christians are to be transformed by the renewing of their mind, throwing off the traps of an unbelieving worldview, and casting aside the sin that clings to the deepest layers of their hearts. How believers think about the gospel will determine how they live; by allowing the Word of God to do its work internally and externally. 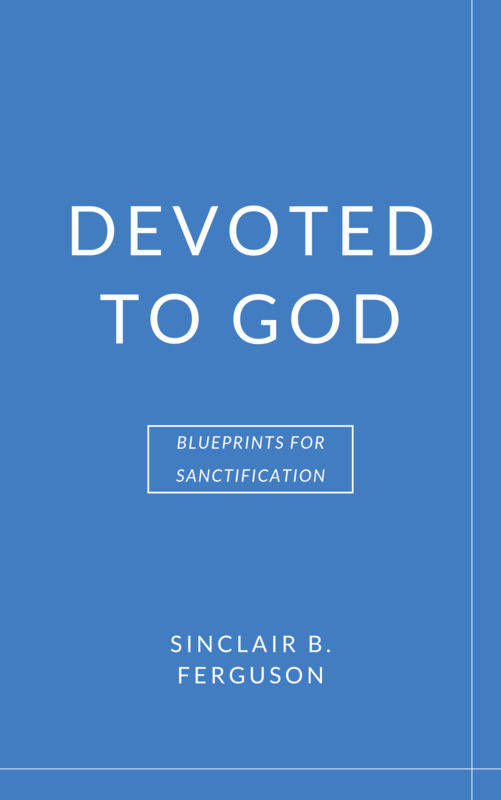 Sinclair B. Ferguson’s book, Devoted to God, provides a blueprint for sanctification by building a robust and reliable framework for practical Christian living. 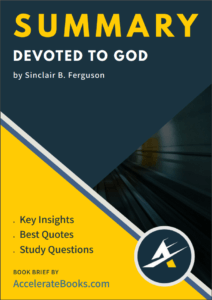 By stressing the importance of fundamental issues such as union with Christ, the reality of spiritual conflict, and the role of God’s law, Ferguson encourages readers to work out their salvation with fear and trembling. Sinclair Buchanan Ferguson pastored First Presbyterian Church in Columbia, South Carolina. Upon his retirement in 2013, he returned to Scotland where he serves in St. Peter’s Free Church in Dundee on the preaching team. Also, Ferguson served as Professor of Systematic Theology at Redeemer Seminary in Dallas, Texas and as a Teaching Fellow with Ligonier Ministries. Ferguson holds a Ph.D. from the University of Aberdeen (1971) and has authored several books published by Banner of Truth, where he is a trustee and former editor. His works include Child in the Manger, From the Mouth of God, and Sermon on the Mount. Today, he continues to preach God’s Word in churches and conferences around the world.